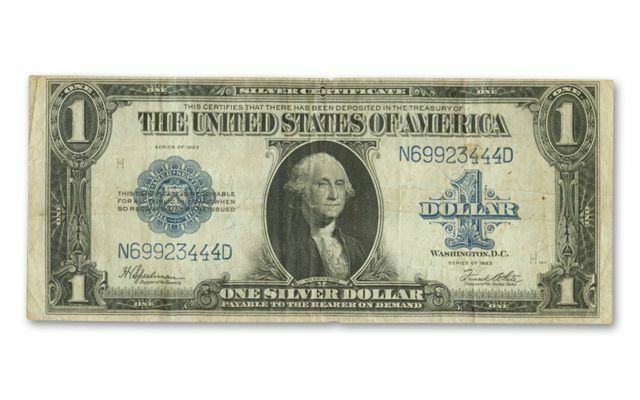 On the face of it, this 1923 $1 Silver Certificate looks pretty familiar. There’s George Washington exactly as he appears on the bills in your wallet. Well, not exactly. He’s a tad bigger. 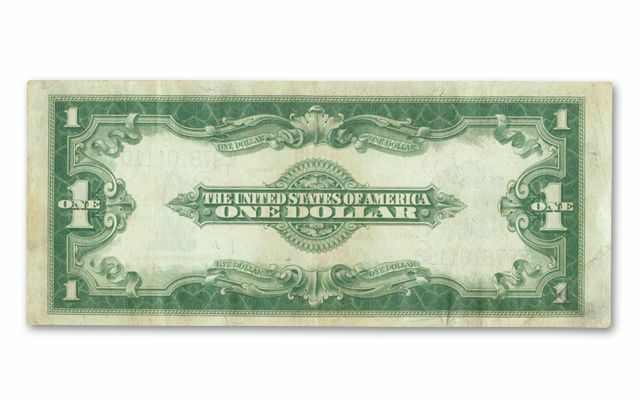 You see, this is the last large size $1 “Horse Blanket” Silver Certificate ever issued. All those issued since really are the size of the ones in your pocket. 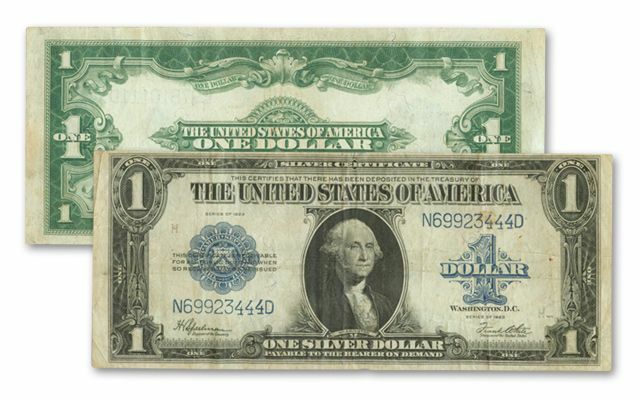 In addition to Washington, the obverse features bold blue serial numbers, seal and denomination. The reverse shows a classic engraving known as the “cogwheel.” We located a small number of these highly desirable notes in Very Fine (VF) condition. Here’s a great opportunity to add big George to your collection.